Tucson is a great place to live and there are always lots of things to do in Tucson this weekend. We know that because we live and work here. And we also know there are more than 12 things to do in Tucson this weekend. Or any weekend. But reading about it in the New York Times make Tucson a bit more special. And that feels good. And since the author is a writer for the New York Times there may be even more credibility to experience the things to do in Tucson this weekend. A recent New York Times Sunday feature “36 Hours In…” was about Tucson, AZ. It is a compressed period of time to take in Tucson but covers a lot of ground. It paints a picture of what Tucson has to offer visitors, snowbirds and residents. Enjoy! There are lots of things to do in Tucson this weekend. And next weekend! And the weekend after that. Foodies, cyclists and the aesthetically inclined will find much to like in this desert city, home to a new bike-share system, adobe architecture, and restaurants that reflect a mix of cultural influences. 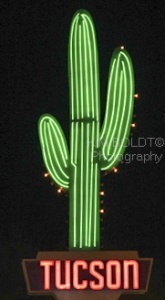 As Austin is to Texas, Tucson is to Arizona. In this outspoken university town, artists, intellectuals and athletes share their passions for good food and outdoor fun. In Tucson’s case, its location in the southern Sonoran Desert divides two sections of scenic Saguaro National Park where cactuses reside in multi-limbed groves. Two years ago, Unesco cited Tucson as the nation’s first City of Gastronomy, highlighting its mix of Native American, colonial Spanish and border Mexican influences. That recognition seems only to have lit the fuse on new and adventurous breweries and distilleries as well as restaurants. With challenging urban hikes, other, more remote, trails nearby, and a new bike share system, Tucson makes for a calorically balanced weekend. Reliably dry weather and a variety of terrain has made Tucson, newly home to a bike share system, popular with cyclists. For an overview of the city from the saddle, take an introductory ride with Tucson Bike Tours ($50). The owner, Jimmy Bultman, provides bright orange upright Civia bikes, helmets and commentary on city history and culture as he guides cyclists through neighborhoods of vintage adobe homes that ring downtown. The route surveys Tucson’s history pre- and post-railroad arrival in 1880, when the city transformed from a sleepy town with a Spanish fort into a shipping center. Risk adobe-envy in restored residential quarters such as Presidio and Barrio Viejo and cruise through the palm-filled campus of the University of Arizona. Tucson’s strength in gastronomy, as saluted by Unesco, does not solely belong to solids. Distillers and brewers are giving liquids a local accent. The tiny tasting room that fronts the brewery at Iron John’s Brewing Company offers opportunities to sample owner John Adkisson’s rotating roster of sophisticated beers made with the likes of local mesquite flour, creosote blossoms or prickly pear cactus (flights of four four-ounce samples, $8). The owners of the 1922-vintage El Charro, which bills itself as the oldest continuously operating, a family-run Mexican restaurant in the United States, recently expanded into the steakhouse business with Charro Steak. In a mash-up of Mexican flavors and cowboy fare, the menu includes guacamole made tableside ($10.95), tortilla soup ($8.95), and boneless rib-eye ($36.95) and bone-in strip ($30.95) steaks grilled on mesquite wood that scents the rustic room. Sides like chile-dusted creamed corn ($6) also have a south-of-the-border accent, while the mostly American wine list includes a blend from locally made Arizona Stronghold Vineyards ($13 a glass). To beat the reliable heat, Tucson is an early rising town. Join the jocks in a hike up Tumamoc Hill, an 860-acre ecological preserve operated by the University of Arizona and Pima County that functions as a public gym (free). Some run the 1.5-mile route that switchbacks uphill, but most find the 700-foot rise aerobically demanding enough to keep to a brisk hiking pace. A series of transmission towers and signs that say “Stop Walking” mark the top, but the views of Tucson and its surrounding mountains plus the groves of saguaros picketing the hillside help distract from the challenge of the ascent. With whitewashed walls and a brick-paved courtyard, the Mercado San Agustin resembles a Spanish-colonial-era market, though it was built in 2010 to 21st-century environmental standards. The mix of restaurants and retailers includes the popular La Estrella Bakery, known for Mexican pastries and Presta Coffee. For a fuller meal, order the substantial chilaquiles ($9) from Seis Kitchen. After eating on the patio, browse the shops at the market, including Mast for locally made leather bags and jewelry, and San Augustin Trading Company for handmade leather moccasins. To gain a fuller sense of Tucson’s agricultural heritage — one of the key reasons the city won its Unesco designation — make a stop at the Mission Garden. Open on Saturdays, the nonprofit four-acre urban garden recreates a walled Spanish Colonial mission garden with desert-adapted orchards and vegetable beds that span local cultures from the ancient Hohokam people onward, representing more than 4,000 years of cultivation in the area. Explore the city’s bohemian side along North 4th Avenue, where a series of independent boutiques and restaurants line the blocks between roughly East 8th and East 4th Streets. Spacious Antigone Books combines reading recommendations with gifts like notebooks and children’s toys. Tiny Town Gallery sells art prints, cards, and T-shirts. Pop Cycle deals with crafty goods from ceramic mugs to jewelry featuring mini horseshoes. Hit pause at Boca Tacos. The chef and owner, Maria Mazon, makes everything from the tortillas to the salsas, of which there are generally four daily, from scratch. Don’t miss the bistek ($3.60), featuring beef simmered in a savory ranchero sauce, and the Don Pancho, chopped steak atop a crunchy tortilla ($3.55). Among its many strengths, which includes the high-tech Mirror Lab producing massive telescope mirrors, the University of Arizona operates two small but significant museums. The photographers Ansel Adams and Harry Callahan are among the luminaries who have donated their archives to the Center for Creative Photography. Its ground-floor gallery (free) features rotating exhibitions from its archives. Across the street, the University of Arizona Museum of Art (admission, $8) holds an impressive Renaissance collection as well as a modern collection including a custom-lit Mark Rothko painting and a work by Jackson Pollock done on the back of a game board. The skies above the southern Arizona desert attract stargazers both amateur and professional (Kitt Peak National Observatory is about an hour’s drive from town). To gain an appreciation for what’s up there, visit Flandrau Science Center & Planetarium (admission $16). Shows projected in the newly renovated theater explore the solar system in general, the night sky above Tucson specifically and sometimes veer off into the psychedelic arena with a Pink Floyd soundtrack. Don’t miss the basement where the University of Arizona Mineral Museum houses fantastically colorful rocks with names like Variscite and Mimetite, as well as pieces of meteors. Ten years ago, downtown Tucson had a handful of restaurants and a lot of parking space. Now the equation has been flipped and the city’s most walkable neighborhood makes it easy to taste and tour on foot. Dine on the Baja gardeners tostada ($12), grilled quail with roasted tomatoes ($25) and a serrano-infused gin Vietnam ($9.50) at Downtown Kitchen + Cocktails from the chef Janos Wilder. Then take a digestif tour of some of the city’s more interesting cocktail bars, including the Tough Luck Club in a basement once used as a morgue. Have a gin-and-port Tin Lizzy ($9) and a seat in a pew at the Owls Club lodged in a former funeral home. The raucous Hotel Congress, earsplitting as a hotel but essential on the nightlife circuit, offers four bars, a spacious outdoor patio and even a coffee shop for late-night tacos ($3). Farm-to-table fare meets Googie design in Welcome Diner. A spinoff of the original Phoenix restaurant, Tucson’s version reinvigorated a mid-century-modern diner complete with sky-blue stools at the counter and window-lining booths with varnished wooden tables. For all the fun of the setting, the cooks are serious about their provisions and list their local farmers on the walls and on the menu. The roasted vegetables topped with eggs ($12) and the burrito with squash, corn and tepary beans ($13) does them justice. The two divisions — east and west — of Saguaro National Park bracket Tucson in forests of cartoonlike cactuses. Hike the two-mile, round-trip Mica View Loop in the east region to get up close to saguaros with arms that seem to point, salute and even hug. If the temperatures are too hot — and even if they’re not — take the eight-mile Cactus Forest Scenic Loop Drive that winds up hills and down dry sand beds with plenty of opportunities to pull over and appreciate the drama of the desert. The new 136-room AC Hotel by Marriott Tucson Downtown offers sleek style, a well-equipped gym, small pool, restaurant and bar. Its best asset is its central location that puts many downtown bars and restaurants within walking distance. Rooms from $299; Marriott.com. Many of the luxury resorts that draw visitors to Tucson lie north in the foothills of the Catalina Mountains. Among the most atmospheric, the 59-room Hacienda del Sol retains its territorial character as a former 1929-vintage girl’s school with antiques-filled public rooms and flowering courtyards. Rooms from $149; Haciendadelsol.com. There you have it 12 things to do in Tucson this weekend. We hope you found this article from the New York Times of interest. We have lived in Tucson AZ since 2002. It is a great place to call home or a winter escape. And for even more things to do in Tucson this weekend or when every you are here – check these out.